Not all orders issued by a court during divorce proceedings are permanent. In fact, it is a relatively common practice for courts to issue temporary awards prior to finalizing the dissolution of a marriage to provide monetary support to one of the spouses, a parenting time schedule if a couple has children, or a prohibition against selling any marital property while the proceedings are still ongoing. If you have questions about whether you and your family could benefit from a temporary order during your own divorce, you should strongly consider contacting an experienced Fort Lauderdale divorce attorney who can help you determine what is in your family’s best interests. Whether divorcing spouses should seek temporary orders on issues, such as monetary support, depends partly on the anticipated length of the divorce. If, for instance, the parties have a relatively amicable relationship and are primarily able to resolve their issues through mediation and negotiation, it may not be necessary to seek a temporary custody order or child support award, as the divorce may be resolved relatively quickly. However, if a divorce is contentious and some, or most of the legal issues involved must be litigated, it may be in the parties’ best interests to request a temporary order from a judge, as the divorce process could take months or even years. During this time, it will be necessary for the parties to pay household expenses and make plans for childcare, problems that cannot be resolved without court intervention. What can Temporary Orders Provide? When one party earns more income than the other, it may be necessary for the lesser earning spouse to seek a temporary order providing monetary support for a short period of time. This is often true in cases where one parent is primarily responsible for childcare responsibilities, while the other spouse provides the majority of the income. In these cases, many temporary orders also provide the lesser earning spouse with access to a joint bank account to ensure that all household expenses and childcare costs are covered while the divorce is pending. Again, these types of orders are often only necessary when the parties anticipate that the divorce process may be prolonged. Temporary orders can also be used to prohibit one spouse from selling assets or transferring property to family members until a property settlement is reached, which can help ensure that the division of marital property is fair. Aside from monetary support, temporary awards issued by judges during a divorce can include provisions that establish visitation for one of the parties. It is important to note that before a judge will grant a temporary order in a divorce case, the petitioner must be able to show good cause for the request. For help ensuring that you are able to meet this burden, please contact a member of our dedicated legal team today. 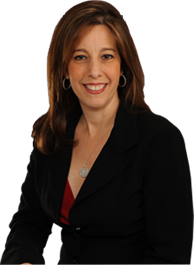 For a free case evaluation conducted by experienced Fort Lauderdale divorce lawyer Sandra Bonfiglio, P.A., please call 954-945-7591 or complete one of our brief online contact forms today.